If you do not have the essential qualification as listed on the person specification, if shortlisted, you would be required to complete a simple literacy and numeracy test to ensure you are suitable for the Healthcare Assistant role. This assessment would be completed on the same day as the interview. As a Trust, our guiding principle is “Putting Patients First” and that means giving our patients the best care and experience we can. We have a number of Health Care Assistant vacancies available within our Temporary Staffing Department (Bank). We are looking for people who are caring and compassionate and who have strong communication and observation skills to deliver excellent patient-focused care in a challenging environment. 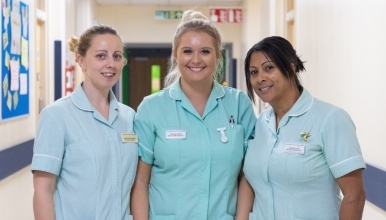 We will offer a comprehensive induction programme that will fully prepare you for the role and you will be working in stimulating and supportive clinical environment with opportunities for learning and development.